Our SEO website analysis are tailor made for each business and industry to give our customer the best ways to improve their website SEO that will get them top SEO ranking for positioning for their keywords. To get an SEO Website Analysis for only $50.00 USD please fill out our Online Marketing Services Request Form. 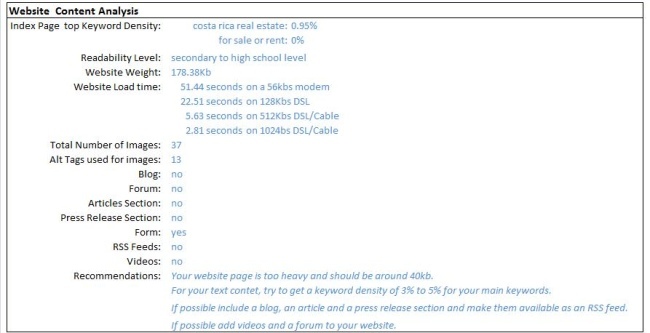 All Companies in Costa Rica receive a 10% discount on their SEO website Analysis.